The SCFPA relies heavily on its partners, members and other landowners. The best way to reach all of these people and most importantly; the not-yet members is through news articles in local newspapers. In these news articles we give the people information about the SCFPA, its advantages and how we can assist, as well as highlights of recent fires, prevention strategies, acknowledgements, training, threats etc. We usually post in the following newspapers and/or websites: Suid-Kaap forum, George Herald Express, Knysna-Plett Herald, AgriEDEN website, AgriEco, Landbouweekblad, Working on Fire newsletter and website. As well as EDEN FM radio station. 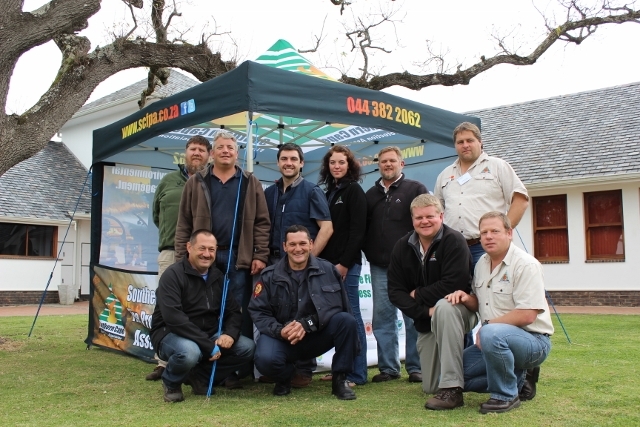 during the past two decades, which has prompted the quest for how best to apply the fire laws with regard to effectively not only preventing and fighting veld and forest fires, but integrating this with the management of the veld by fire. 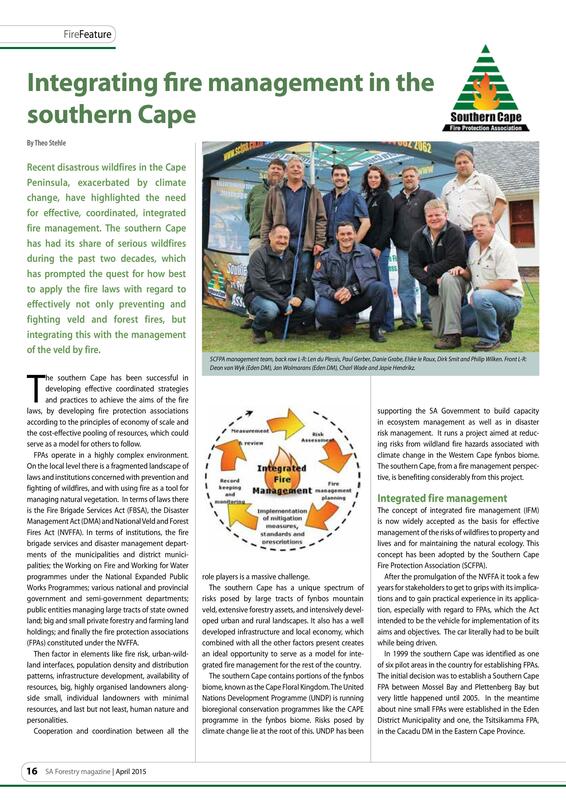 Wild veld and forest fires have a negative impact on the economic, social and ecological assets of the fynbos biome and farming activities in the Southern Cape region, thus the need for integrated fire management (IFM).